From Tempo Two catalog, 1988: XILLIA (Tim Blyth 88 Aust) Arilmed 22" E-M. 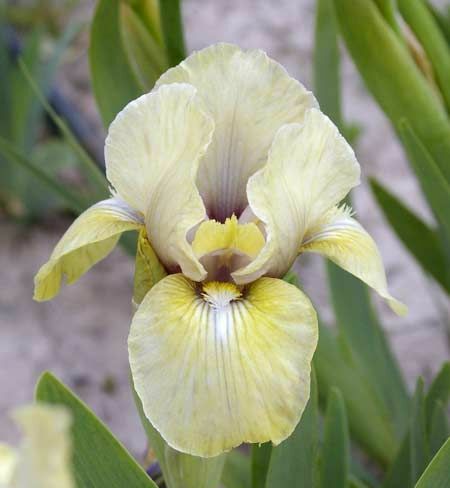 This lovely little Iris has an opalescent effect. The colour is an opalescent grey with a pronounced chartreuse overlay on falls. Rounder aril form. (Manhattan Blues X Story Theme). $12.50.